The character (who never had a first name), and the series are a creation of the writing/producing team of Richard Levinson and William Link. 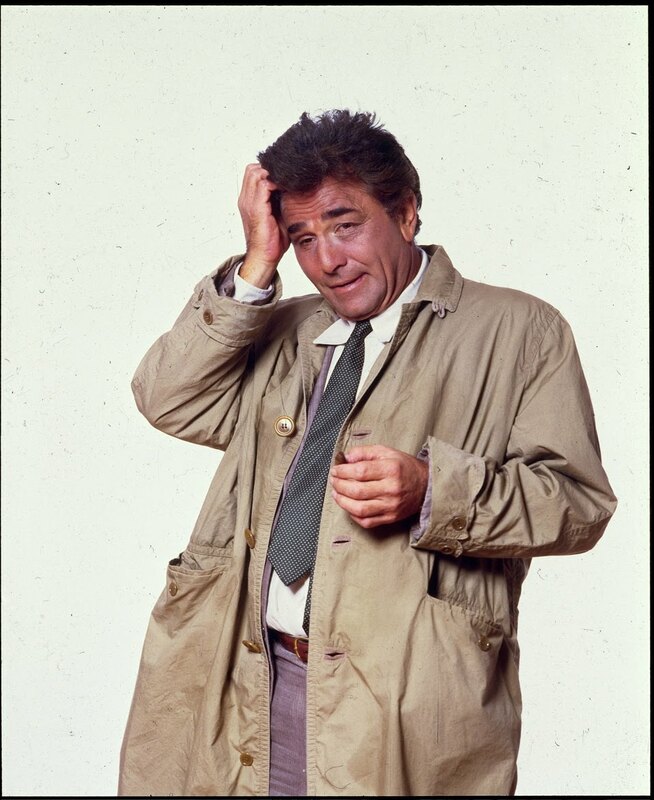 Columbo ran as a television series from 1971 to 1978, but the character had appeared in a short story, a live-television broadcast, and a stage play before making his first network television appearance in the Made-For-Television Movie Prescription: Murder (1968). Originally written for Bing Crosby, the Columbo role went to Falk when Crosby opted not to end his retirement. The series' original run was not in weekly hour-long episodes, but as a 90-minute "spoke" in the NBC Mystery Movie "wheel" concept: each week, one of three different series was shown on a rotating basis. Columbo was interspersed with McMillan & Wife (starring Rock Hudson and Susan Saint James), and McCloud (starring Dennis Weaver. This suited Falk and the producers just fine since the pace of production would be much slower than was usually the case with weekly series. The 90-minute program length also allowed each episode to be more intricate than the typical one-hour installment, and intricacy was stock in trade for the character.